The SHTW2 is Sensirion’s 2nd generation WLCSP (wafer-level chip-scale package) humidity sensor, offering a complete digital humidity and temperature sensor system in a package so tiny that it fits into virtually any application. 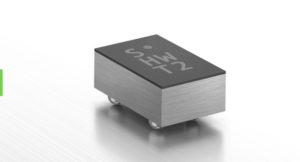 The SHTW2 comes in a flip chip package, which is an established technology and represents one of the simplest and smallest possible ways of packaging for a semiconductor chip. With a footprint of 1.3 x 0.7 x 0.5 mm3 the SHTW2 is only one-seventh of the size of a comparable DFN humidity sensor, which opens up a new category of ultra-small humidity sensors and enables countless new opportunities for the Internet of Things, wearable and mobile markets.